Anyone who has looked for ways to increase their levels of HDL cholesterol (that is, “good cholesterol”), has probably come across the recommendation to exercise. This is because regular exercise, especially aerobic exercise, has been associated with higher HDL cholesterol levels. But just how much exercise do you have to do to raise your HDL levels? The high-density lipoproteins (HDL) transports excess cholesterol from the walls of arteries to the liver. Because cholesterol deposits are a major feature of atherosclerosis, removing cholesterol from the arteries is thought to be an important component to the prevention of cardiovascular disease. In the liver, the excess cholesterol from the HDL particles is metabolized; much of it is converted to bile, which is then excreted by the body or used for digestion. This cholesterol recycling process — the “reverse cholesterol transport process” —helps to prevent or reverse heart disease. A high level of HDL cholesterol, therefore, often means that a lot of excess cholesterol is being recycled, which is a good thing. Therefore, it is desirable to have a higher HDL cholesterol level. For example, HDL levels above 60 mg/dl are associated with a reduced risk of heart disease. Experts have known for a long time that exercise helps increase the production and the efficiency of certain enzymes that enhance this "reverse cholesterol transport" process. But how much exercise is necessary to achieve this effect? A study conducted by Japanese researchers has shed some light on the question of how exercise type, frequency, and intensity impact HDL cholesterol. In a meta-analysis, investigators from Tokyo evaluated the effect of exercise on HDL levels. They included data from 35 randomized trials assessing the effect of exercise on HDL levels in adults. While exercise regimens varied among these studies, on average the subjects in these studies exercised for 40 minutes, three to four times per week, and the effect on HDL was measured after eight to 27 weeks. Across the studies, participants had increases in HDL cholesterol averaging about 2.5 mg/dL. This increase in HDL cholesterol was only modest but was statistically significant. By some calculations, a drop in cardiac risk of two to three percent is associated with a 1 mg/dL increase in HDL. While such calculations are based on a string of assumptions and not actual clinical trials, by this estimate a 2.5 mg/dL rise in HDL may actually amount to a substantial reduction in cardiovascular risk. Perhaps the most interesting finding from this study is the observation that it was the duration of exercise sessions — and not the frequency or intensity of exercise — that best correlated the best with increased HDL levels. 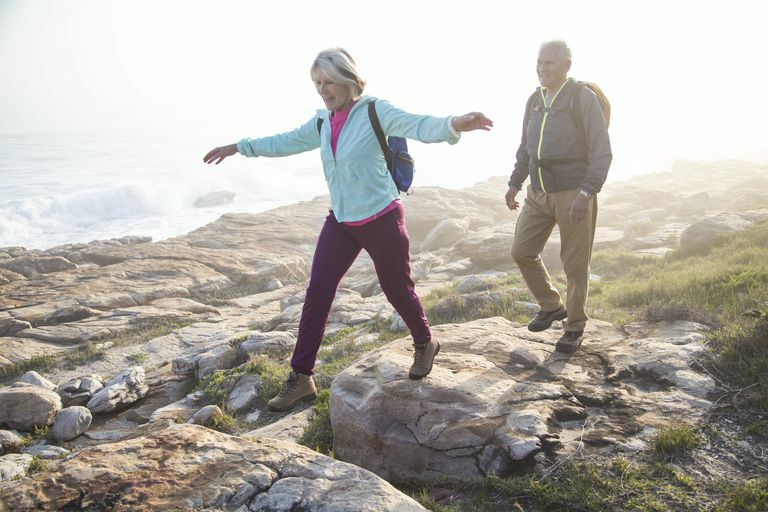 The investigators reported that in research subjects exercising for at least 20 minutes, each additional 10-minute increase in exercise duration was associated with an additional 1.4 mg/dL of HDL. This meta-analysis represents the best estimate we have correlating exercise volume with HDL cholesterol levels. The results of this study indicate that exercising at least three to four times per week for at least 20 minutes (though 40 would be better) should help you increase your HDL levels. In fact, increasing the duration of your exercise sessions by pacing yourself judiciously (that is, by going slower if necessary), appears to be the best way to translate exercise into higher HDL levels. Quitting smoking, which can increase your HDL cholesterol by up to 10 percent. Losing weight: For every 6 pounds lost, HDL may increase by 1 mg/dL. Choosing healthier fats such as the monounsaturated and polyunsaturated fats found in olive, peanut and canola oils as well as nuts, fish, and other foods containing omega-3 fatty acids. Consuming alcohol in moderation: No more than one drink a day for women and two drinks a day for men age 65 and younger. Higher levels of HDL cholesterol are associated with lower cardiovascular risk. Regular exercise is one way to increase your HDL levels. It appears that the duration of regular exercise is the most important factor in successfully elevating HDL with exercise. Kodama S, Tanaka S, Saito K, et al. Effect of Aerobic Exercise Training on Serum Levels of High-Density Lipoprotein Cholesterol. Arch Intern Med 2007; 167:999-1008. Mackey RH, Greenland P, Goff DC Jr, et al. High-density Lipoprotein Cholesterol and Particle Concentrations, Carotid Atherosclerosis, and Coronary Events: MESA (Multi-Ethnic Study of Atherosclerosis). J Am Coll Cardiol 2012; 60:508.